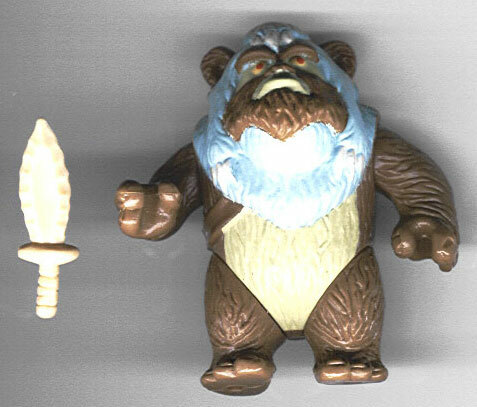 Supposedly he is one of the tougher Unproduced Ewoks to find. Considering the fact that he took the longest to find, I might have to agree with that statement. 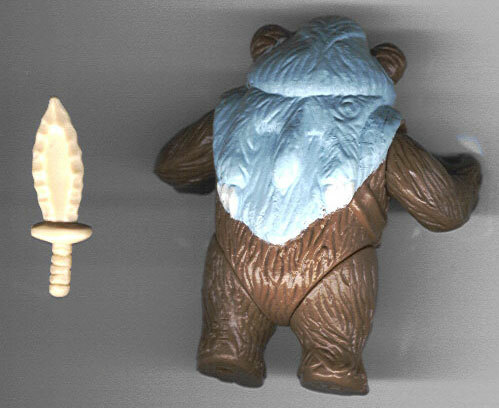 :^) This figures is particularly cool because it's basically a full-production figure, just like the one that would have been released had the Ewoks line not been cancelled. In fact, the fact that I have now seen two separate unproduced Droids and Ewoks at this stage of the production process, leads me to believe that the lines were cancelled very late in the game. Here's the back. Although it is fairly difficult to see, considering the brown color does not lend itself well to scanning, the back of the his left leg includes the date and copyright information, usually the last details to be added to a production mold.